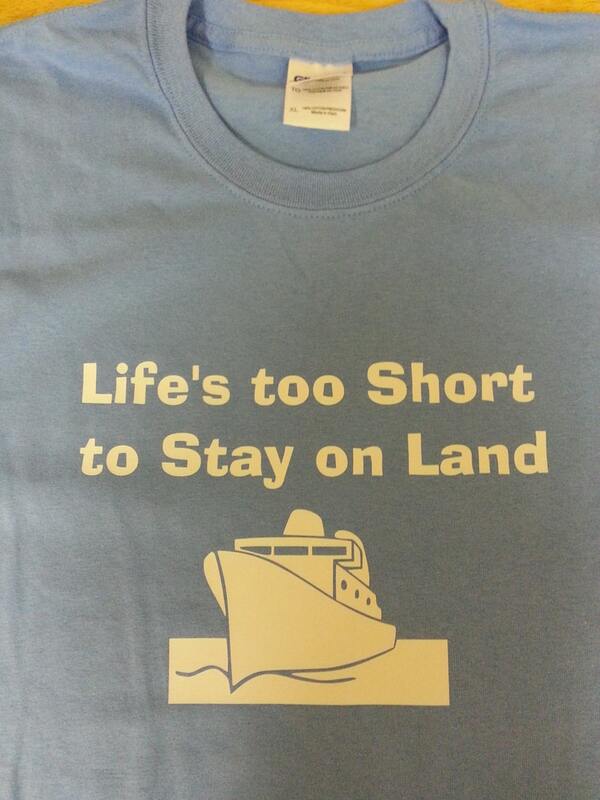 Life's too short to stay on land cruise t-shirt! Lettering and design are created with High Quality heat-press vinyl. Vinyl colors available: Black, White, Navy Blue, Royal Blue, Red, or Hot Pink.